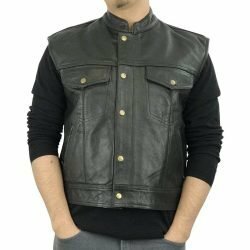 On hot summer days or mild weathers, when that leather jacket seems cumbersome, a motorcycle leather vest provides protection against elements and looks stylish as well. On a cool day, it can keep the windchill at bay, and during extreme winters it can be worn below the leather jacket to give that added warmth and comfort. 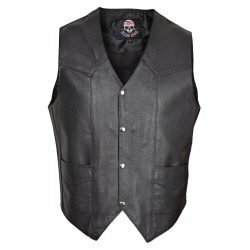 Wicked Stock motorcycle leather vests boast of 1.1-1.3 mm thick cowhide or buffalo leather that enhances its durability. 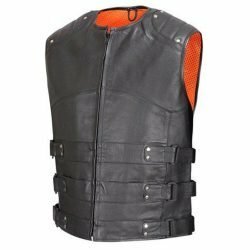 This premium quality leather not just keeps the torso warm in cold weather but also serves as a protective sheath against flying debris, rocks and critters during summer rides. The authentic YKK zippers, snaps and other hardware, alleviate any chance of loss for smaller items like phone, wallet etc. 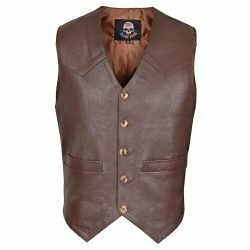 Additionally, they give a classic vintage look to this vest that is reminiscent of the old west! 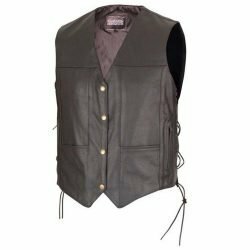 Most of our leather vests have an inside concealed carry gun pocket that serves as a flawless means to conceal carry in the summers. 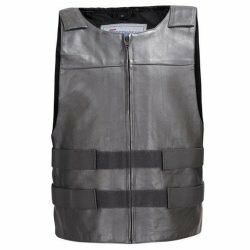 The vests are lined with premium quality polyester, which is snug, long-lasting and wrinkle free. Large accessible Back Panels to put your club colors and patches on Most of these have large accessible back panels that come in handy to put your club colors, sew club emblems, hang lots of pins, patches and badges of rides to remember. These timeless basic vests will always be in vogue and have been given a touch of modern cool with a comfortable fit. Perfect for everyday use, these vests could be teamed up with basic tees as well as crisp button-down shirts, for a cosmopolitan look. Accessorized with do-rags, finger-less gloves and motorcycle riding chaps, these could transform you into classy cowboys of the old west! 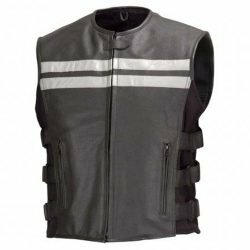 Please have a look at the detailed Motorcycle Leather Vests online product pages to pick the one that conforms to your style quotient. 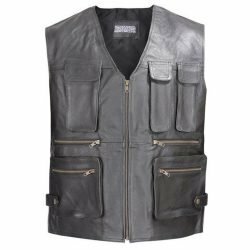 Besides giving protection and comfort, our Mens Motorcycle Leather Vests are sure to make you look like you’ve just stepped out of a rider apparel magazine!